Family law and bankrupcy law can be highly personal and stressful events. 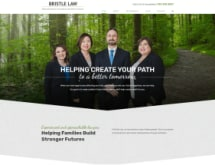 At Bristle & Yi Law, PLLC, we provide a welcoming environment and highly professional services that help reduce the worry associated with divorce and bankruptcy. Our law firm combines experienced and outstanding legal representation with a personal and compassionate approach. In bankruptcy law, we help you determine whether it is in your interests to file and whether Chapter 7 or Chapter 13 bankruptcy is right for you. We will provide you with options, including alternatives to bankruptcy, so that you know exactly what your rights are. In divorce and family law matters, we provide compassionate support and the strength you need to overcome difficult situations, including divorce, child custody disputes, and other family law issues. We have built our practice in Manassas, Virginia, on the theory that every client has unique legal problems that require innovative solutions. We will work with you throughout your legal matter to find a resolution that works for you and your family. Our attorneys still believe in a hands-on approach to the practice of law, and are available to speak directly to you. Both Joanne Yi and Anna Bristle answer their own phones. Our lawyers truly believe in helping our clients find a better way forward. From divorce to getting out from overwhelming debt, we want all of our clients to be in a better position financially, emotionally and legally than they were when they came to us. Contact Bristle & Yi Law, PLLC, today to schedule a free, no-obligation consultation about your options.